We are the proud owners of the Best Steak by Living Magazine’s Reader’s Choice Award for 2014 and 2015! 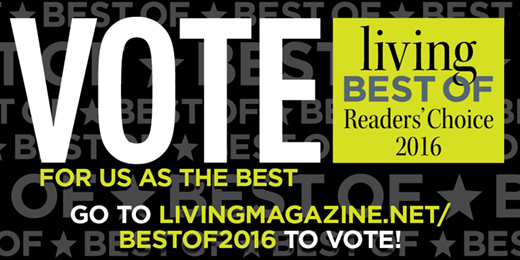 Please cast your vote to nominate us again in 2016! Voting is opened now through March 31st, 2016. Thank you! This is the first year that this magazine has actually notified us about nominations. We’re always happier to win things we didn’t happen to solicit, but it would be great to win a 3rd year, since that’s how long our new management has been at the Yellow Rose.